Schedule your Scion service today! Scion targets young drivers with their innovative and highly efficient cars. As the younger offspring of the Toyota brand, it champions car safety and charms car owners with its classic, sporty look and innovative interiors. Keep your Scion running optimally through scheduled repair and maintenance here at Hollenshade’s Auto Service. We are the leading auto repair facility in Towson, Maryland. Before doing major repairs, we provide complete transparency and a full-vehicle perspective to our diagnosis. Preventative maintenance helps prolong the lifespan of your vehicle’s vital parts. It also provides the opportunity for you to address potential vehicle issues before they turn into costly repairs. When you take in your car for full-range auto maintenance, we will do tune-ups, change your engine oil, replace serpentine and timing belts, align and balance your wheels, replace spark plugs, and more. The ability of your car to heat and cool itself is crucial to maintaining passenger comfort. And if you start to notice red flags like puddles of coolant around your car or unusual noises and odors from your AC vents, then your car’s HVAC system may need work. 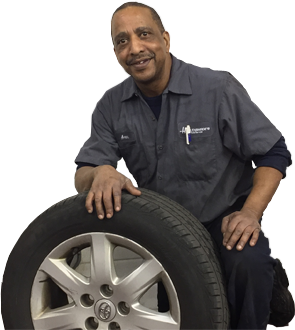 Our auto repair facility services car owners in Towson, Maryland. We start by conducting a diagnosis and then solve your Scion’s heating and AC problems quickly and efficiently. Your vehicle’s drivetrain is one of its most complex mechanisms. It transfers power from your Scion’s engine to its wheels and makes it move. Our team conducts drivetrain diagnosis and repairs in Towson, Maryland. Our ASE-certified technicians will inspect, diagnose, and correct your Scion’s drivetrain issues so you can resume driving smoothly again. A healthy suspension system provides the right amount of motion and stability between a car’s wheels and its body. In turn, it stabilizes steering, minimizes road noises, and facilitates effective braking. Let Hollenshade’s Auto Service help you maintain your steering and suspension system. Before carrying out major repairs, we conduct suspension and steering inspections on your Scion. We are an auto repair facility in Towson, Maryland. We have served over four generations of customers in the Baltimore metropolitan area.